A visit to the Glasnevin Heritage Centre starts in the City of the Dead which is an immersive exhibition in the basement. It covers burial practices and religious beliefs, as well as the meticulous record-keeping of the 1.5 million people buried in Glasnevin. The Glasnevin archives provide invaluable medical, economic, social and historical records. 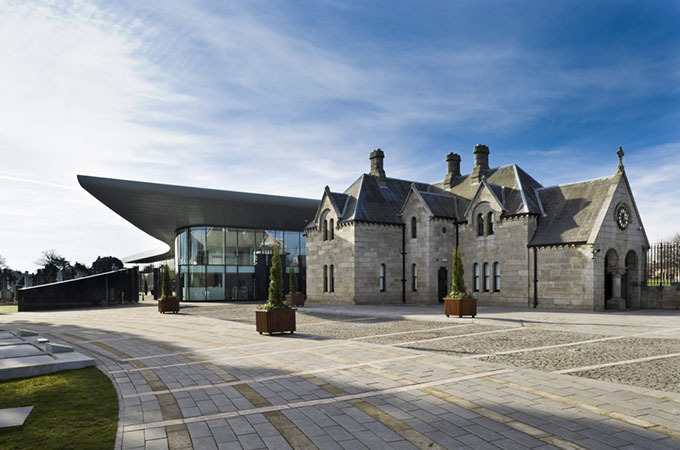 The Milestone Gallery is home to a special exhibition on Glasnevin founder Daniel O’Connell. It also highlights the Timeline Exhibition; this ten-metre long interactive table contains details on the lives and connections of hundreds of the most renowned people buried in the cemetry. 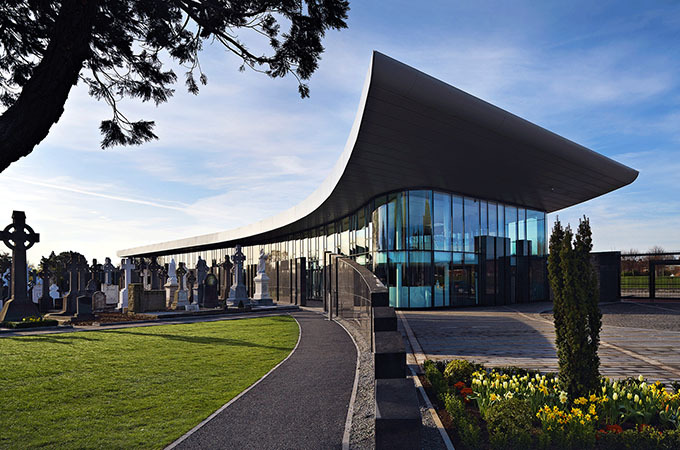 The glazed Prospect Gallery offers a breath-taking panorama of the cemetery, along with information on its marvellous array of panoramic graves. There is also a programme of temporary exhibitions throughout the year. 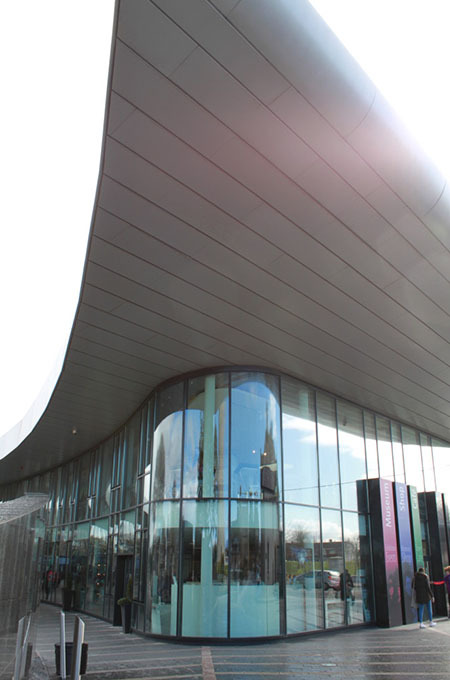 Alucraft are pleased to have provided the entire external façade and feature roof to this wonderful centre.